The gladiator sandal gets a minimalist update with Italian suede straps and a demure peep toe. A logo-embossed zipper pull adds to the signature style, while a short block heel completes the stunning look. 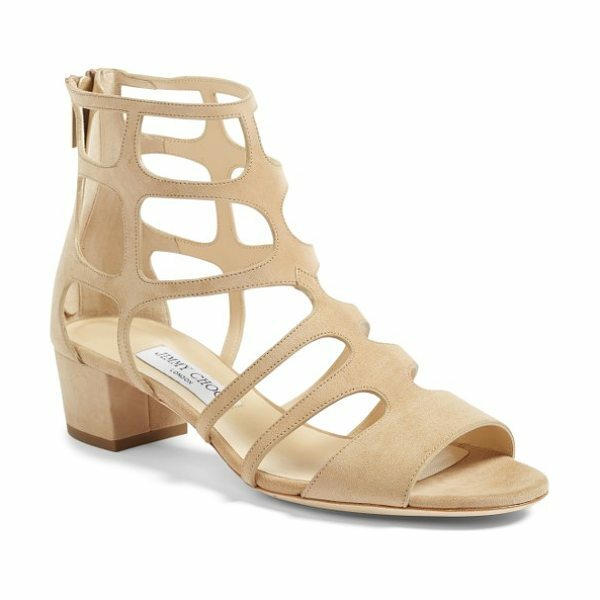 Style Name: Jimmy Choo Ren Block Heel Sandal (Women). Style Number: 5292962. Available in stores.